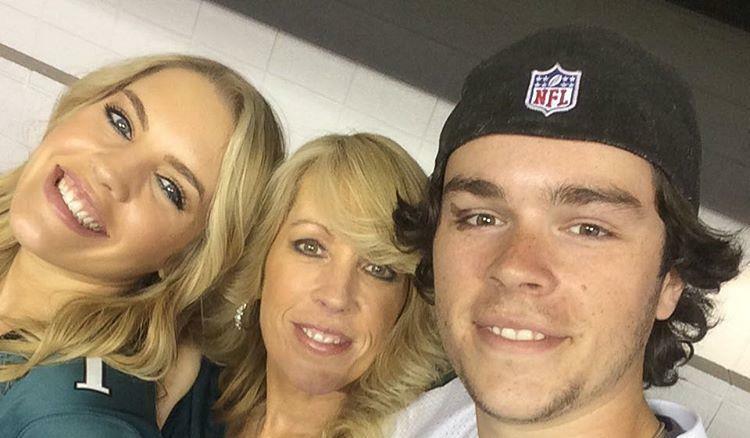 Good News for OLTL Alum Eddie Alderson! Here comes some good news for 'One Life to Live' alum Eddie Alderson [ex-Matthew Buchanan] who was diagnosed with lymphoma cancer last year in November. Alderson has been doing his chemo therapy and has had the support of his tremendous fans, awesome 'OLTL' friends, and family including his real life sister Kristen Alderson [ex-Starr, OLTL and ex-Kiki, General Hospital]. His sister, Kristen shared some good news that her brother was on his last day of chemo. Sharing a picture of herself, her mom, her brother and other family members wearing "No Surrender" t-shirts, she captioned the image, "Last day of chemo! So proud of you @eddiealderson ! #ByeCancer#NoSurrender. Alderson himself later shared: "Today marks the end of my 6 month chemo journey. While it was hard at times, I never once bowed down to it. I took it head on, and the people in these pix have been by my side every step of the way, along with many other people. This isn't the end of my journey, but I'm happy as hell right now. If Cancer has taught me anything, it's that family and good friends is truly all that matters in life. Don't ever forget that. #NoSurrender"
We're very glad to learn of Alderson's progess and we wish him all the best! Soap Opera News: Good News for OLTL Alum Eddie Alderson!